The presidency has appointed Dr. Maikanti Baru as Group Managing Director of Nigeria National Petroleum Corporation (NNPC). Until his appointment, Dr. Maikanti Baru was the Group Executive Director, Exploration & Production of the corporation. Dr. M. K. Baru attended Ahmadu Bello University, Zaria, in Kaduna State of Nigeria; where he obtained Bachelor of Engineering (Mechanical) with a first class honors. He also holds a Doctor of Philosophy in Mechanical engineering. 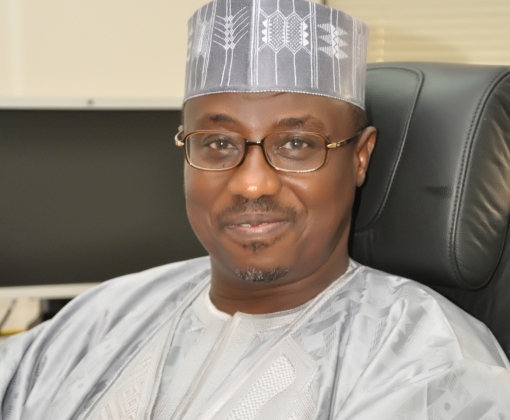 Before his Recent appointment Dr. Baru had worked in various capacities in both the Upstream and Downstream Sectors of NNPC. These includes Group General Manager of Greenfield Refinery Projects, Managing Director of Hyson, Executive Director of Nigerian Gas Company (NGC), General Manager – Gas Division of NAPIMS, Manager – Operations, Procurement Management Services and Manager – Engineering for National Engineering and Technical Company Limited (NETCO). During his initial stint with NAPIMS which spanned from July 1993 to July 1999, Dr. Baruexecuted several Gas projects which are utilizing billions of standard cubic feet of gas per day. Several other ongoing projects were also conceptualized under his care. He planned the projects that would ensure flare-out by 2008 and made huge savings while overseeing the Joint Venture Gas Projects. He was also the NNPC’s Chief Technical Negotiator on the West African Gas Pipeline project from July 1999 to April 2004. Dr. Baru has been the Chairman of NNPC Anti – Corruption Committee since September 2004 till date; and has relentlessly sensitized staff on obligations and laws that govern corruption and corrupt practices. Dr. Baru is a fellow of the Nigerian Society of Engineers(FNSE) and a recipient of the Presidential Merit Award of theNigerian Society of Chemical Engineers. He is married with children. The Former GGM, NAPIMS, Dr. M. K. Baru informed the media executives that the Nigerian Content Division is now domiciled in the Exploration and Production Directorate of NNPC just like NAPIMS. The change in structure he informed was aimed at reducing the turn around time in contract processing. He stated the efforts of NAPIMS in realizing the Federal Government’s aspiration of increased reserves. He further explained that with the various projects such as Usan,Akpo, Bonga Northwest, Ofon 2 that were on stream, the PSC oil which currently stands at 650,000bopd is expected to increase to 1.2mbopd by the year 2011.